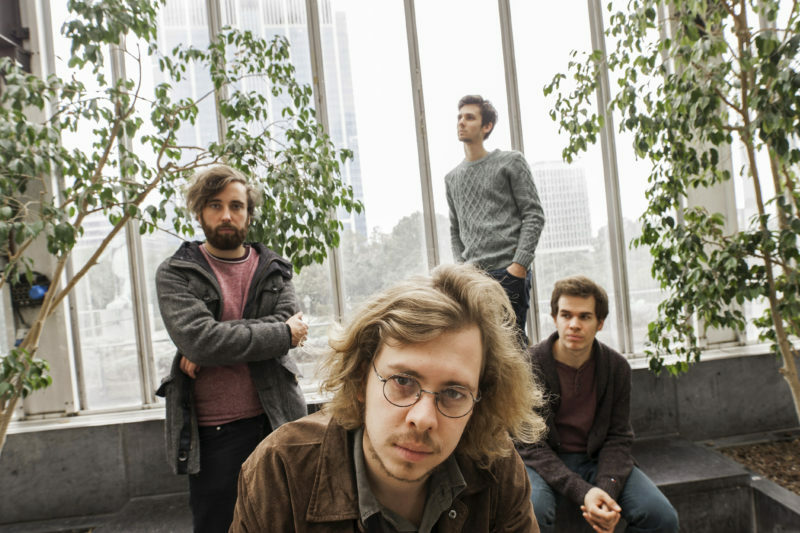 The brothers Brent Buckler and Sander Cliquet and bandmates Vincent Lembregts (also Chackie Jam, Glints) and Marijn Geerts decide to change the name of their band Barefoot and the Shoes to Sun Gods. Talented producer Roel De Bruyne is the ideal partner to develop a whole new sound. With their richly layered synth and guitar parts and prominent drums Sun Gods create their own unique soundscape: sumptuous, contemporary indie rock in the vein of The War on Drugs and The National with 80s pop echoes reminiscent of Peter Gabriel, Simple Minds and Daniel Lanois. Less a year into its existence, Sun Gods has managed to convince numerous concert organisers. Amongst others, the fledgling band has played memorable sets at Linkerwoofer (on the same bill as Millionaire, Warhaus, Faces on TV...) and played several Dutch venues with Effenaar (Eindhoven), Gigant (Apeldoorn) and the 'Ik Zie U Graag' festival in Breda. Their maiden single 'Voices' certainly didn’t go unnoticed: the video was screened at several major festivals such as the New York City Short Anime & Animation Film Festival, the LA. Music Video Awards (winner 'Best Male Vocalist’), European Independent Film Festival (Paris) and Berlin Short Film Festival. Sophomore single 'Subtle Science' also made a huge impression and has meanwhile been added to the playlist of Radio 1. Early 2018 Sun Gods self-released the live EP 'Trefpunt Sessions'. They are currently working on their debut long-player, which is slated for release in 2020.